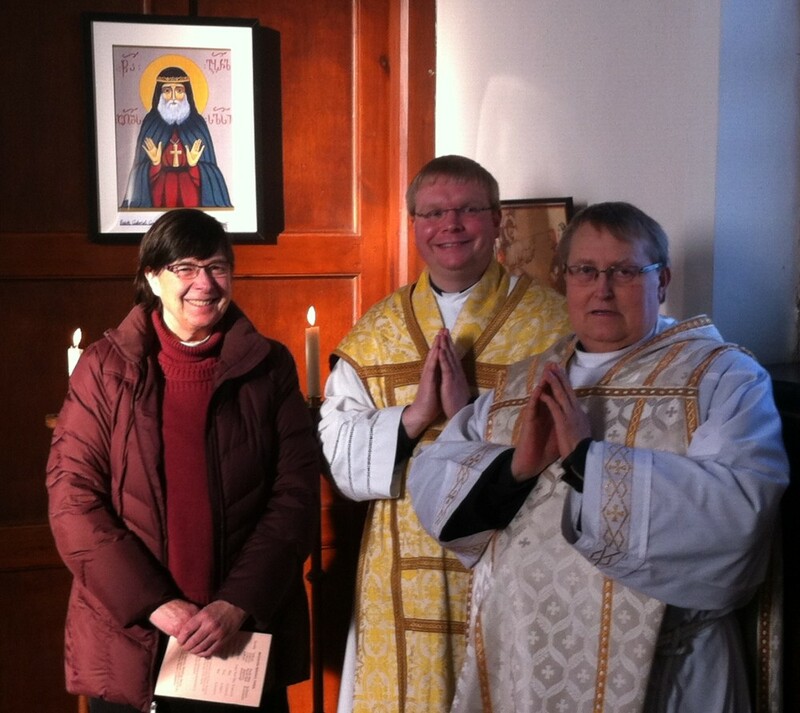 It was with great joy that our new icon of St Gabriel-of-Georgia was blest at St Helen’s Parish Church Carlin How during the Sung Mass on the Feast of the Presentation of the Lord, Sunday 2nd February 2014. Local Parish Councillor and member of St Helen’s Parish Church, Elisabeth Westhead, visited the shrine of St Gabriel in Georgian during a visit to the country in January 2014. While visiting friends in Georgia, Councillor Westhead prayed at the shrine of St Gabriel for our benefice and for its people. In commemoration of her visit to the tomb of this holy man, Councillor Westhead purchased this new icon of Saint Gabriel for St Helen’s Parish Church Carlin How with Skinningrove. 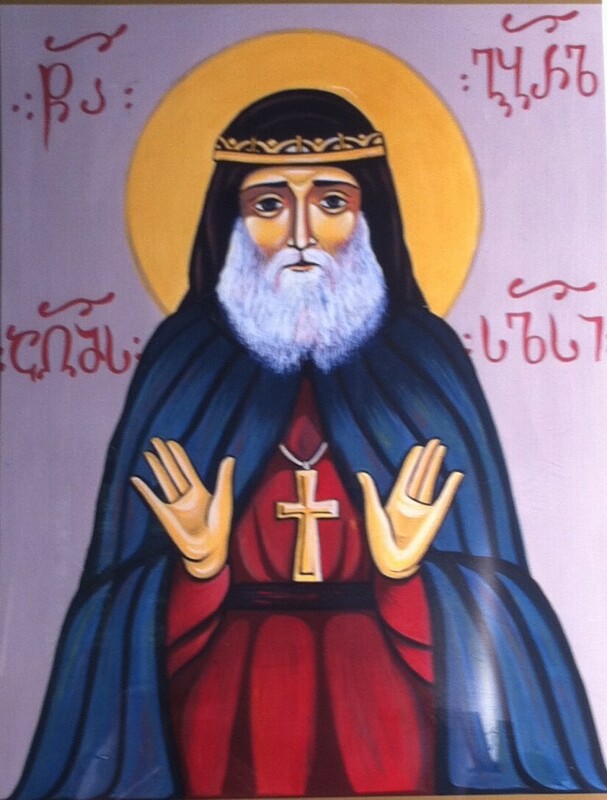 A relatively new saint, Gabriel of Georgia was declared by the Georgian Church as being among the Saints of Christ’s Church on December 20th 2012. Saint Gabriel was famed for his powers of prophecy, as well as his fearless approach to denouncing Communism publicly; indeed, had he been considered “sane” by the authorities, he probably would have been executed for his dissent. He was particularly famous for tearing down a giant banner of Lenin during a May Day parade and trampling upon it while denouncing the Marxists. Saint Gabriel was also renowned for his compassion and deep insight into human nature. Saint Gabriel spent much of his later life living at the Monastery of Saint Nino, in Mtskheta Georgia; he died in 1995 and is buried there. Today many pilgrims, including our own Councillor Westhead and her Georgian friends, make a pilgrimage to pray at the grave of this holy man.